a piazza - at the 2013 CU Expo conference. 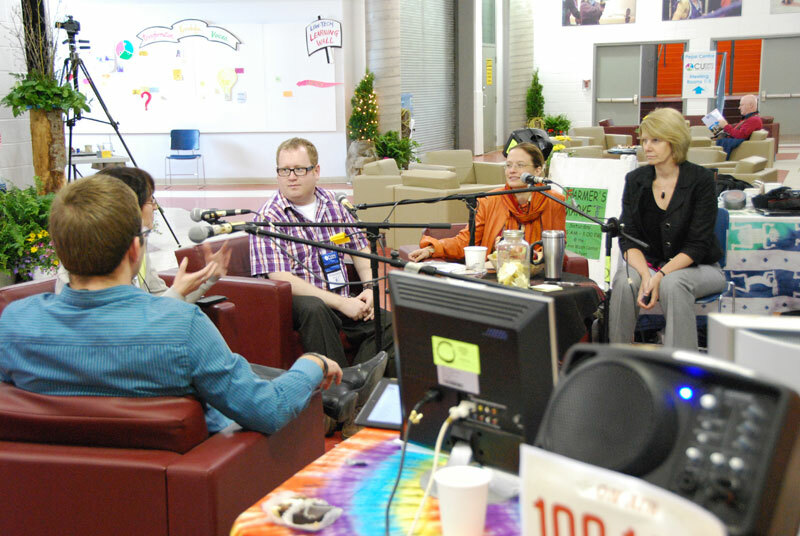 Our goal for the participatory communications space is All the Voices. We perceive all the voices as a democratic right and responsibility. It is also a space in which to hang out, chat, drink coffee, tell stories, and maybe even to play a guitar. Click here for a Guardian article on Social Networking - Italian Style. Click here for more piazza photos from CU Expo. 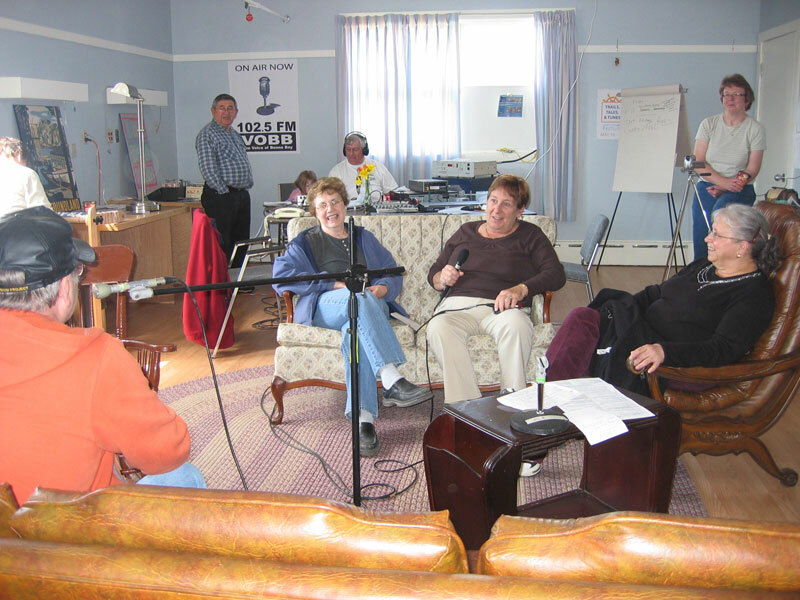 Trails, Tales and Tunes broadcast from the cottage hospital.